Baking and working with sugar has been a passion for Rocio since an early age, passion and natural talent inherited from her mother. 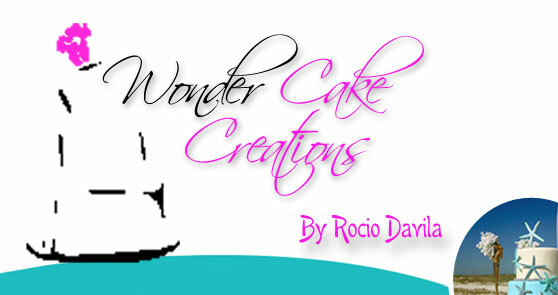 Rocio is a very creative cake designer who has spent countless hours of training with some of the best sugar artists in the world. Her main objective is to make each cake a unique and special design to make your event a very special occasion. With five years of experience in the market, Barbies Boutique is the place to be when you are seeking for Wedding Dresses, Quinceanera, Homecoming, Prom and Tuxedo Rental. We are stock with the most exclusives brands the dresses industry has to offer. Experiencing the joy of wearing fabulous dresses is a way of life and a state of mind all women must experience. We are sure that you will enjoy the atmosphere we created at our boutique, all just for you, that we believe it’s about living richly, reverently, beyond convention where we promote creativity and liberation of your inner self. Yamile Carballosa is a Sarasota based Professional Event Designer train by IWED: Institute of Wedding & Event Designer. A true professional dedicated to excel in the demanding wedding and event industry. Cuban American event designer with years of experience in the Sarasota local industry. Specializing on weddings and quinceaneras. Her goal is to deliver the best visual experience on your special day to you and your guest. Get an Estimate for your Up Coming Special Event !! !